The picturesque phrase “holy conversation” occurs only twice in the New Testament, both in Peter’s epistles; one in his very first chapter, 1 Peter 1:15, the other in today’s verse. The other is, “But as he which hath called you is holy, so be ye holy in all manner of conversation.” This distinctive King James rendering does not really mean “clean speech” but assumes the older, more precise meaning of “conversation,” namely “behavior,” especially behavior that involves other people. The Greek word translated “holy” primarily implies “dedicated to God.” Thus, holy conversation simply means living in such a way that our entire manner of life is oriented to honor God and to influence other people to honor Him. These two exhortations of Peter tell us why we should live this way. The first incentive is simply the holiness of God Himself: “Be ye holy; for I am holy” (1 Peter 1:16). We have become children of God through faith in Christ, and we should therefore behave “as obedient children, not fashioning [ourselves] according to the former lusts in [our] ignorance” (1 Peter 1:14). The second incentive given just before the words of today’s verse is the ever-imminent return of Christ, following which, eventually, “the heavens shall pass away with a great noise, and the elements shall melt with fervent heat” (2 Peter 3:10). Incentives, both past and future, are thus given for holy living in the present! 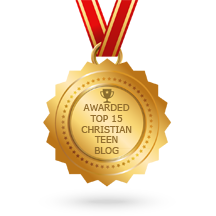 This entry was posted in A CLICK A BLESSING TODAY, CHRISTIAN NUGGETS and tagged Holy Conversation. Bookmark the permalink.